For me the Tarot has always been fluid. What quantum leap happened that changed my understanding of Tarot? Well I guess it was seeing Tarot in everyday life. In every number set I saw and reduced down to 1-22 or seeing images from the Rider-Waite-Smith deck in unexpected places. I would look and there would be art work in a window I was not expecting that had a court card in it’s display. I would see the images in clothing outside of Halloween time on people walking down a street where I worked. Some one was dressed as the Empress (Or so it looked like to me). It made me realize that Tarot is everywhere but it may live just below the surface of everyday life. Some people may not see it but I got to be one of the lucky ones. I could see cards in how people interacted, in numbers on the parking spaces and how it would effect my day when I parked in a space whose numbers added up to 2 -High Priestess verses when they added up to 15- Devil. I stopped questioning the Universe when I was asked for a reading. I embraced that fact that I was a reader. It was not going to go away if I stopped looking. It was there. It was part of my life and I didn’t need to hide it away. I carry a deck with me everywhere I go. I am never too shay to do a reading for nay one who might want one. I am open to the sharing my love of these cardboard pictures. Once you start being open to seeing Tarot in your Universe even in the small patterns in your breakfast cereal then you need to be open to the flow and not get in its way. You my friend are a Tarot Reader and it is a glorious journey indeed. New things are growing for Rose Red Tarot.. 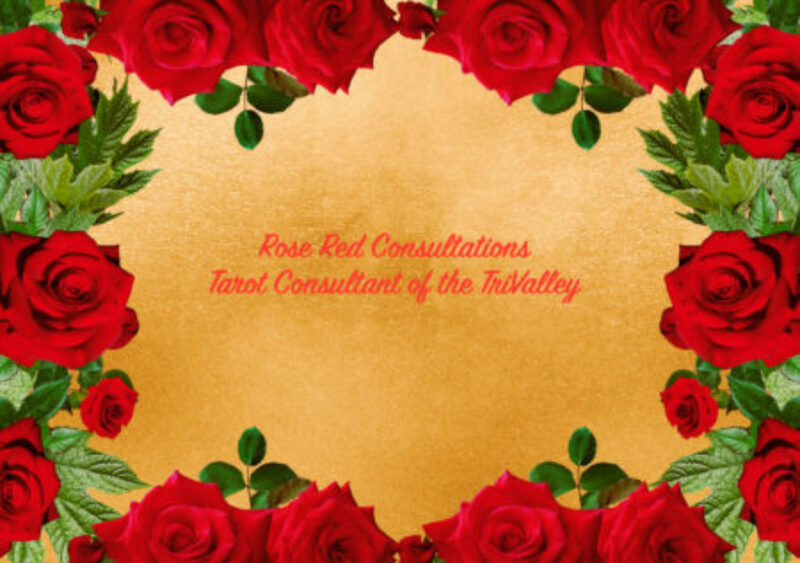 I mean Rose Red Consultations! Where the heck have I been?